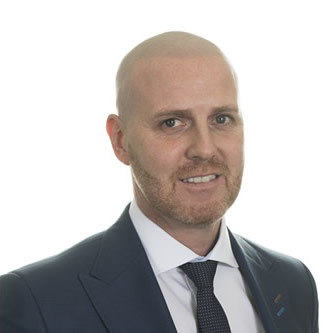 With over 20 years’ experience in the construction industry, Kris joined the rail industry in 2003 and has significant commercial experience having worked on some of Scotland’s major rail enhancements including the Edinburgh to Glasgow Improvement Programme, Airdrie to Bathgate and the Aberdeen to Inverness enhancements. Previous roles at Jarvis, Balfour Beatty and Siemens have given Kris a broad delivery experience across a range of complex track, signalling, electrification and civil engineering projects. Currently commercial director and acting deputy regional director for Network Rail’s Infrastructure Projects Scotland and North East division, Kris is supporting delivery of a £750m portfolio of multi-disciplinary projects each year. Kris is leading development of the CP6 portfolio and is focussing on an industry wide response which will bring Network Rail closer to the supply chain to drive a more efficient, sustainable and collaborative approach to delivering renewal and enhancements schemes across Scotland.